In most cases, the first reading with a psychic medium is used for overcoming skepticism and determining that the psychic medium is genuine and legitimate. The second reading, and any future reading, is for obtaining more meaningful messages from your lost loved-ones and spirit-guides. 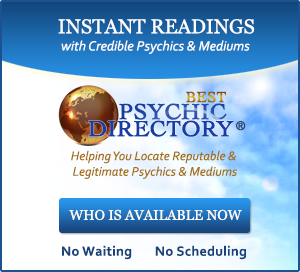 When I had my first reading, I was suspicious of getting duped by another phony psychic. I had seen plenty of psychics in the past who gave me a whole lot of nothing. In most cases, I was told vague messages about love and good fortune in my future, as well as a few complimentary messages that built my ego and made me feel pleased about the reading and the psychic. Some people might be walking on clouds when they leave these people; but later, after they have had time to think about the messages with a little more clarity and distance, most of these people realize they got a pile of generalities with a few future details that can’t be proven for an unknown period of time. Hogwash! A medium's first job during a reading is to provide evidence that she has connected with our loved ones in spirit. It took the medium in my first reading at least an hour of unmitigated evidence to convince me that my father and grandmother were truly there in the room with us (even though I couldn’t see them the way she did). In this hour, she gave me several names of my relatives and friends (dead and living), past memories (many of which I had forgotten), and detailed information about my life and the lives of people in my life. This detailed information didn’t build up my ego. The medium didn’t say anything about how wealthy or famous I was going to be. She was simply a stranger describing my life like she had known me since I was a little boy. Of course, it wasn’t her that knew this information; it was my grandmother and father who were relaying these family memories, including a few family secrets, through the medium to me. My experience is not unlike the first readings of most people. Since most readings only last an hour, it is common that the majority of that time is spent on providing evidence and overcoming skepticism. Depending on your degree of skepticism and the clarity of the messages that come through, you may require more than a one-hour reading to overcome your suspicions. Even the best psychic mediums in the world have off days. After all, psychic mediums are human, too. So there are several factors that will determine how many readings, or how many hours, it will take before you are convinced the psychic medium is really communicating with your Uncle Barney from the other side. One of those factors is your own attitude (skepticism, openness, acceptance, fears) toward that psychic medium and the messages coming through. In most cases, however, your second reading will be easier for both you and the psychic medium. It’s funny because I hear a lot of people tell me that the second psychic medium they went to was a lot better than the first. What is funny about this is that some people tell me that psychic medium “A” was better than psychic medium “B” and an equal number tell me that psychic medium “B” was better than psychic medium “A.” What really seemed to matter was which medium they went to first. My theory is that the first psychic medium helped the person overcome their skepticism to a certain degree, but not fully. As a result, the person was much more open and accepting when he or she went to the second psychic medium. It was their change in attitude, not the competency of the psychic medium, that made their second reading so much better. Your experience with mediumship is a process. My first reading lasted three hours. That was a heap of information to have dumped on me in one sitting. I think most people would do better to have three one-hour sittings than one three-hour sitting. This would give you time to process the information and insights between readings without risking a mental meltdown. After a lifetime of wondering about the finality of death, it makes more sense to grow into the reality of an afterlife gradually. 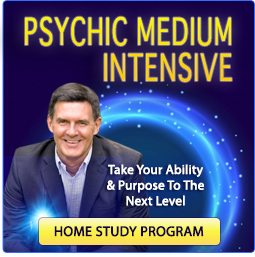 If you are new to mediumship, plan on going to a psychic medium more than once (it can be months or years apart if that is necessary). Expect the first reading to help you overcome your resistance to spirit communication. Don’t expect much in the way of meaningful messages if you have a lot of skepticism to plow through. Then, in the second reading, you can expect less evidence-building messages and more in the way of emotional healing—messages of forgiveness, insight into your loved-one’s condition in the spirit world, and messages of love and connectedness with people who have passed-on. 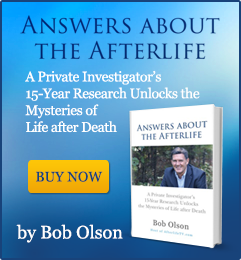 A former skeptic & private investigator, Bob Olson has been an Afterlife Investigator & Psychic Medium Researcher since 1999. In his search for evidence of the afterlife, Bob has tested hundreds of psychics, mediums & other afterlife-related practitioners. 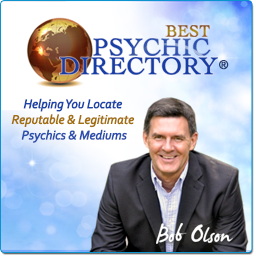 Bob is the host of AFTERLIFE TV, founder of BEST PSYCHIC DIRECTORY and BEST PSYCHIC MEDIUMS, the editor of OFSPIRIT.COM MAGAZINE, and offers his PSYCHIC MEDIUM WORKSHOP to help psychics and mediums improve their abilities and business. 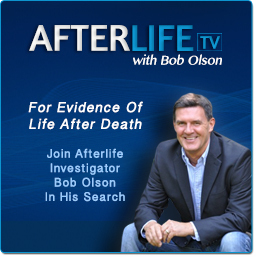 Visit Bob on AFTERLIFE TV's FACEBOOK page & on TWITTER.